Merck & Co/MSD has won approval in the US for PD-1 inhibitor Keytruda as a treatment for hepatocellular carcinoma (HCC), the most common form of liver cancer, opening up another front in its rivalry with Bristol-Myers Squibb. The FDA approval is based on the results of the open-label KEYNOTE-224 trial, which enrolled 104 patients who had relapsed after or were refractory to Bayer’s Nexavar (sorafenib), the first-line standard of care for HCC. The objective response rate was 17% in the study, with a complete response rate of 1% and a partial response rate of 16%. Among the responding patients, 89% experienced a duration of response for six months or longer, while in 56% the response duration was 12 months or longer. Overall, the results with Keytruda are very similar to that seen with BMS’ PD-1 inhibitor Opdivo (nivolumab), which was approved by the FDA for the same HCC indication in September 2017. 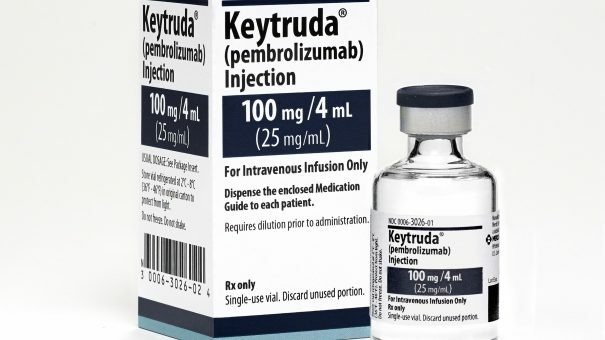 The approval is the 14th for Keytruda, extending its use into a tenth tumour type, and consolidates its position as the top-selling PD-1/PD-L1 drug, having overtaken Opdivo in quarterly sales terms earlier this year. Tyrosine kinase inhibitor (TKI) Nexavar has been the mainstay of first-line HCC therapy for years, but prognosis for patients continues to be poor and there’s a big unmet need for drugs that can be used in the second-line setting alongside newer TKIs such as Bayer’s Stivarga (regorafenib) and Ipsen’s Cabometyx (cabozantinib). Opdivo’s US approval for relapsed and refractory HCC ushered in the era of immuno-oncology for this type of cancer, but hasn’t been without a hitch. In Europe, BMS opted to withdraw its marketing application for Opdivo in second-line HCC after it became clear the EMA would not accept the data that backed its US approval. Both Merck and BMS have phase III studies ongoing to try to strengthen the evidence for their drugs and support EU filings. Other companies with checkpoint inhibitors on the market also have HCC in its sights, including Merck KGaA/Pfizer whose Bavencio (avelumab) PD-L1 inhibitor is in phase II testing in this indication. There are also efforts aimed at shifting checkpoint inhibitors into the first-line HCC setting as combination therapies. Merck is planning to look at the combination of Lenvima and Keytruda in previously-untreated patients, while Roche recently picked up an FDA breakthrough designation for its PD-L1 inhibitor Tecentriq (atezolizumab) in combination with VEGF inhibitor Avastin (bevacizumab). The latter is currently in a phase Ib trial and showed an impressive 63% overall response rate in a preliminary read-out, and a phase III trial of the duo called IMbrave150 is due to generate results in 2021. AstraZeneca meanwhile has paired its PD-L1 inhibitor Imfinzi (durvalumab) with experimental CTLA4 inhibitor tremelimumab, with an overall response rate of 18% that prompted the start of a phase III trial. The larger study (HIMALAYA) will compare the duo to monotherapy with Imfinzi and Nexavar and is due to read out in 2020.